The next thing you'll want to look at is the zoom ratio and the focal lengths that the lens covers. Two cameras may each have a 5x zoom lens, but if the first covers a 24-120mm range and the second covers a 35-175mm range, the former will be better for wide-angle shots and the latter will have a bit of telephoto reach. I generally recommend that point-and-shoot users go for a camera with a lens that is at least 25mm wide, like the 25-100mm zoom used by the Fujifilm XQ2 . A wide lens allows for dynamic compositions, and gives you some leeway for setting up group shots. If you go for a compact with a short zoom lens like the XQ2, you can always do a little bit of cropping after the fact for shots that need it. When shopping for a model with an EVF, you'll want to pay attention to its clarity and size, as it is much easier to hold the camera steady at your eye than it is at arm's length. When you've zoomed all the way in—many models go beyond 1, 000mm—you'll need all the help you can get to grab a steady shot. The general rule of thumb is that you need a shutter speed of 1/1000 of a second to get a sharp photo at 1, 000mm, although good image stabilization will let you get away with longer speed. You'll still want to look for a model that does well at high ISO settings—the lenses on these cameras don't let in a ton of light when zoomed in all the way, so upping the ISO to 1600 or 3200 may be necessary to get a sharp telephoto shot in less-than-ideal light. With smartphones eating into the lower end of the market to the point where a good, cheap compact camera is almost impossible to find, we've seen a new beast emerge. 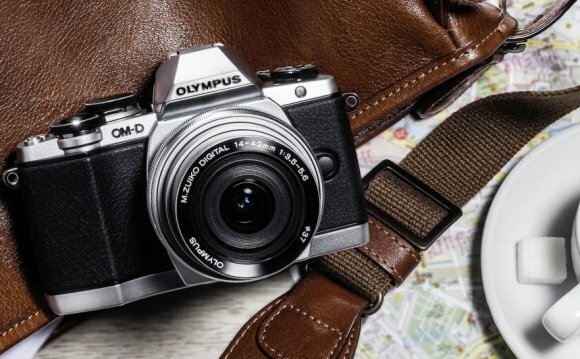 It used to be a rare occasion to see a compact camera sell for more than $500, but that's no longer the case. Sony rocked the world in 2012 with the original RX100 , a pocket-friendly cam with a 1-inch sensor that dwarfs the small image sensors found in most compact cameras. It's still on the market, selling for less than its original $650 price tag, and is still a solid choice if you're looking for a good camera that won't break the bank. Its successors, including our current favorite premium compact RX100 III and the RX100 IV , have continued to push the limits of how much a pocket camera can do, and how much one can cost.